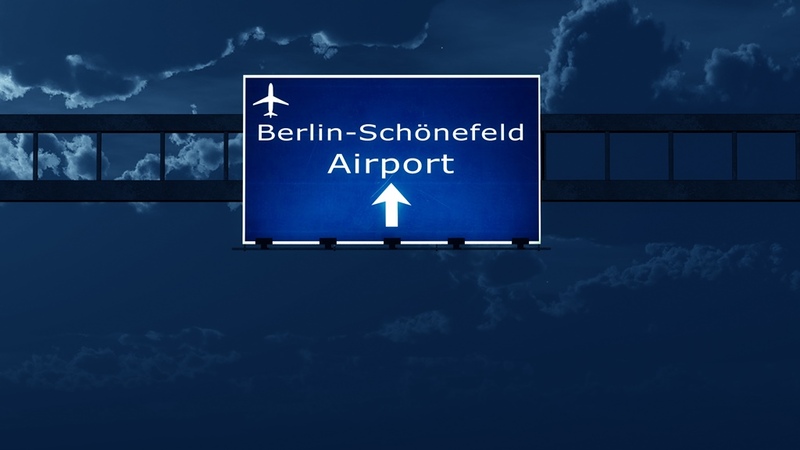 Berlin Schönefeld is the smaller of the two airports in Berlin (after Berlin Tegel Airport). 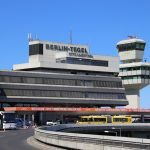 It was the only airport of the former East Berlin, and today it is a base for low cost airlines such as EasyJet and Ryanair. It is located around 18 km from Berlin and it handles approximately 13 million passengers every year. Anyway, here are the ways how to get to and from the Berlin Schönefeld Airport. To go from Schönefeld Airport to Berlin city you need to buy a bus ticket for the zones A, B & C. There are ticket machines in the airport, and all you have to do is to first select English, then ‘Local Traffic’ then Berlin ABC. The ticket costs €3 and must be validated in a special machine before use. Bus tickets are valid for 2 hours. Schönefeld Airport has a railway station that is very well connected (via regional and S-Bahn trains) to Berlin’s centre and surrounding areas. The airport is just a five-minute walk from the railway station. Regional railway (Airport Express) – the Airport Express (RE 7 / RB 14) runs every half an hour from Berlin city centre to Schönefeld Airport. 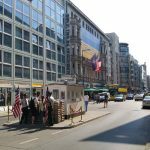 The journey from Berlin Hauptbahnhof (main station) lasts only 30 minutes and the ticket costs €3.30 each way. S-Bahn railway – S-Bahn (urban railway) trains run every 10 minutes and cover the area of Berlin city centre (S9) and the southern ring line (S45) to Südkreuz. Single ticket costs €3.40 and it is valid for travel to almost all parts of Berlin. Children from 6 to 14 can use the tickets with reduced price (€2,40). NOTE: It might be better option to buy a daily ticket (or a two-day ticket) which gives you the opportunity for an unlimited number of trips within one day. Check ticket price list here. Taxi service: Public taxis can be easily spotted just outside the train station. Besides cash, you can also pay by credit card. A metered taxi from Schönefeld airport to the city centre (around 23km) will cost you around €45–50€. Transfer: If you need a direct transportation to your accommodation, we recommend booking a door-to-door transfer. Don’t worry if your flight is delayed, the transfer company monitors all flights and their schedules. 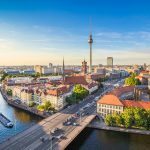 Renting a car at Berlin Schönefeld: Renting a car is definitely not a problem at Berlin Schönefeld Airport as there are several rent-a-car offices at the airport such sa Sixt, Avis, Europcar, Hertz, etc. To avoid possible queues at the airport, you can always book your car online. 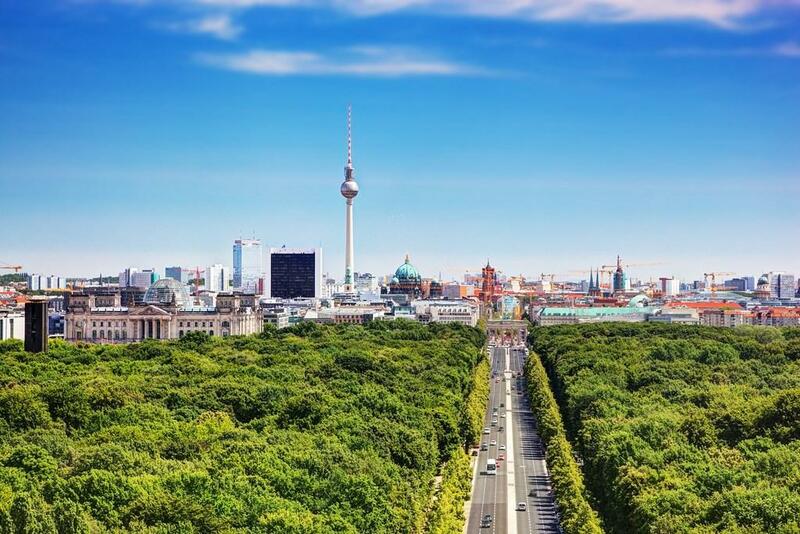 A: The airport is very well connected to Berlin either by bus or by train, however, if you arrive really late and the S-Bahn is not an option anymore, there is a night bus N7 which departs from the airport and goes to Rudow U-Bahn station, which is the first stop on the blue line U7. Then you can jump on the U7 line to go to Kreuzberg or Neukoelln. Alternatively, you can always get a taxi or a private transfer. 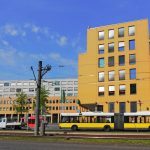 the closest hotel is the Inter City Hotel Berlin Schönefeld, which is only a 5 minute walk from the airport. Free internet access is available, as well as air conditioning. 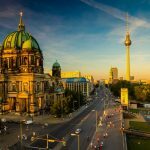 the Albergo Hotel Berlin is 10-15-minute walk from the airport. It has a free Wi-Fi and it also offers a free shuttle from/to the airport. Q: I would like to visit Berlin in between flights. Is that possible? A: Yes, the airport is well connected to the city by the several bus and train lines, however, the journey takes around 40-50 minutes, so check your timing twice in order to avoid being late or stuck in the traffic. If you need to leave your luggage you can do that on the the luggage storage services which are located in Terminal D Arrivals. A: Yes, there are several currency exchange offices and cash machines at the airport that work 24/7. Q: I am continuing my journey outside Berlin. Are there any direct lines to other destinations?